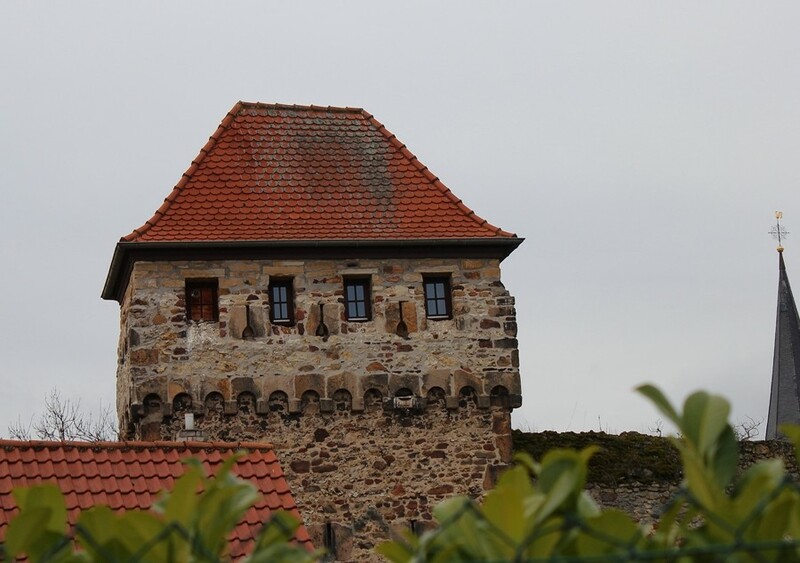 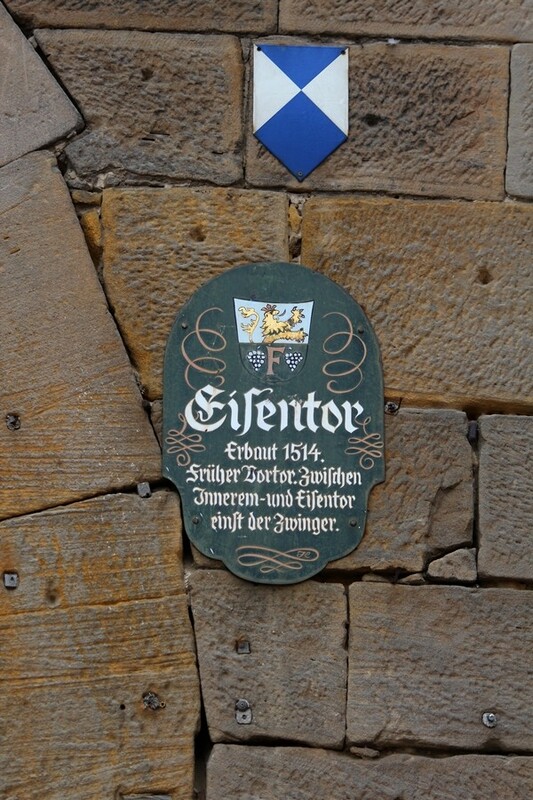 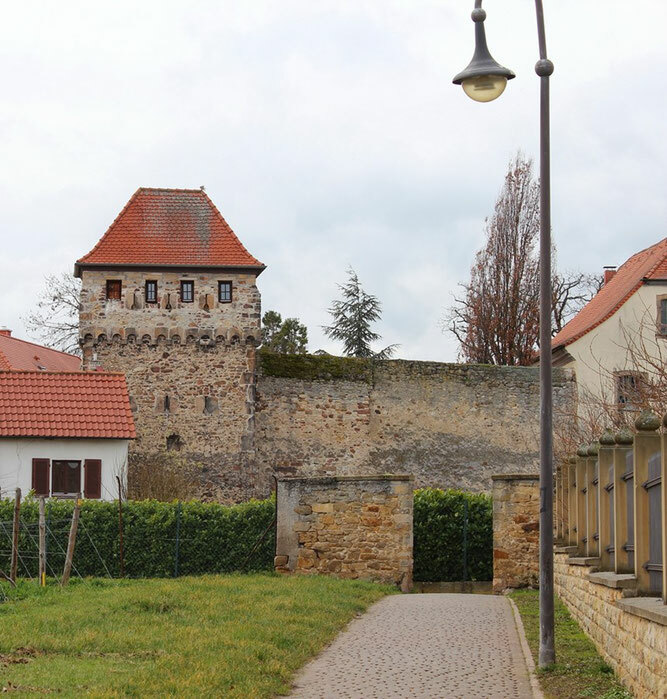 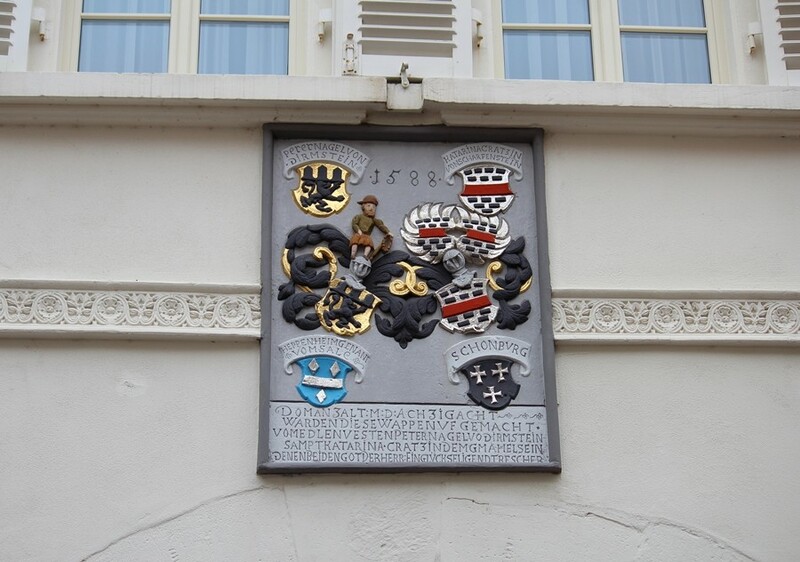 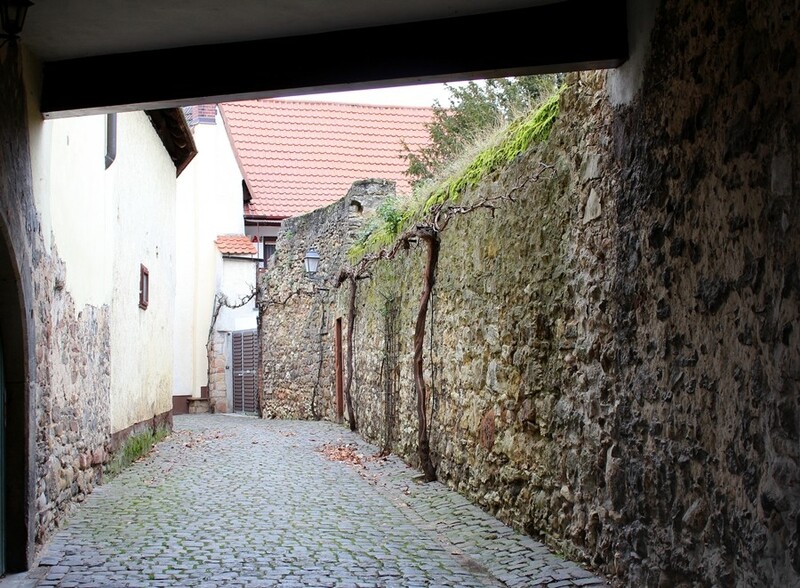 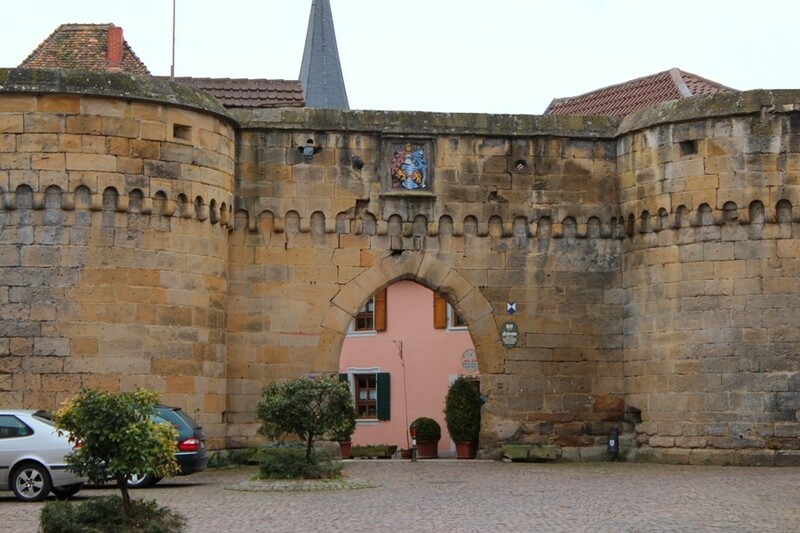 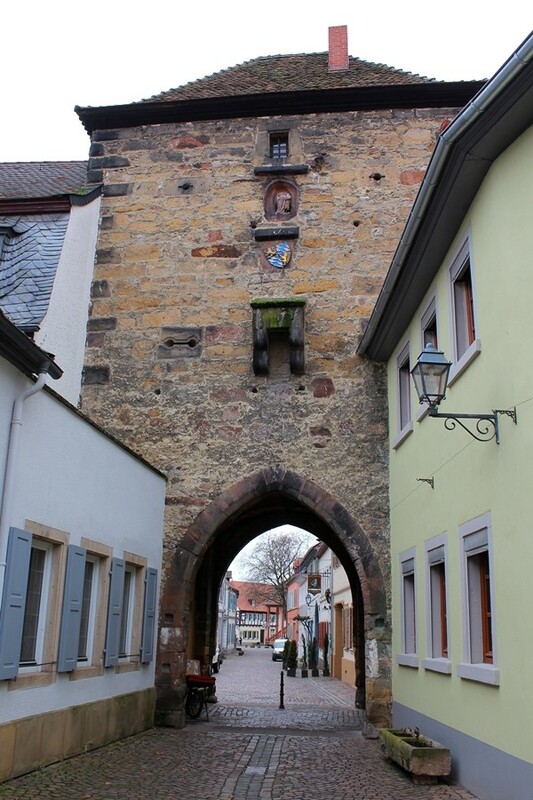 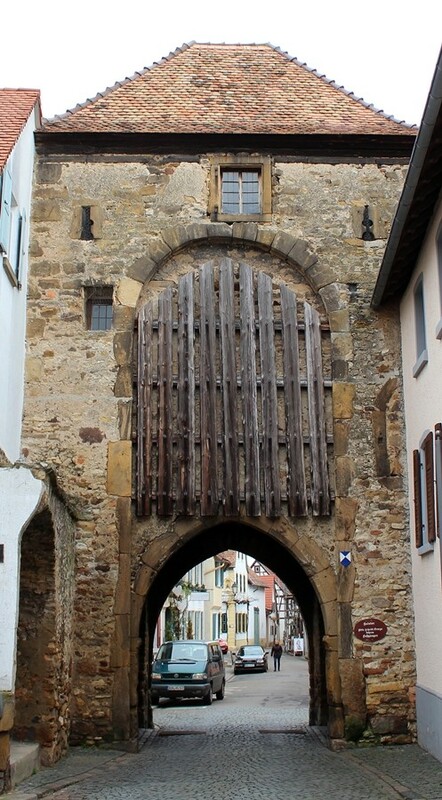 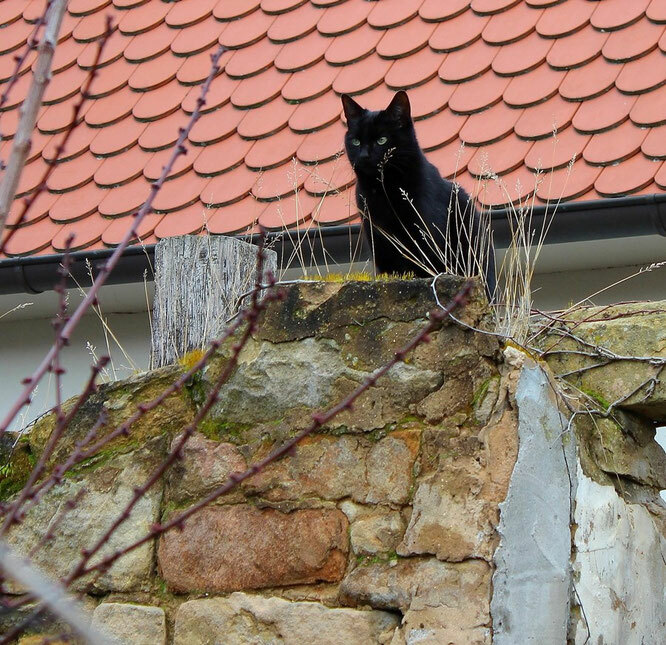 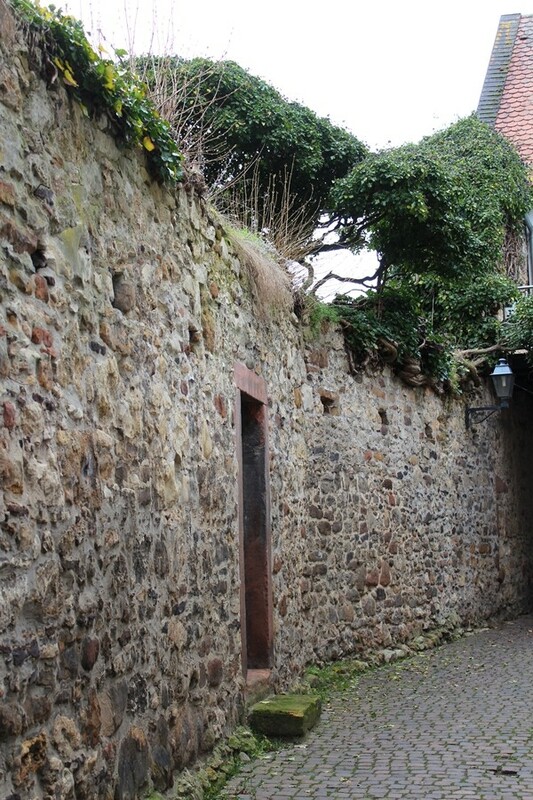 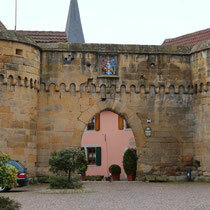 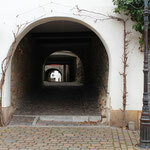 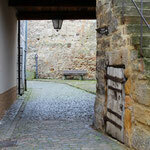 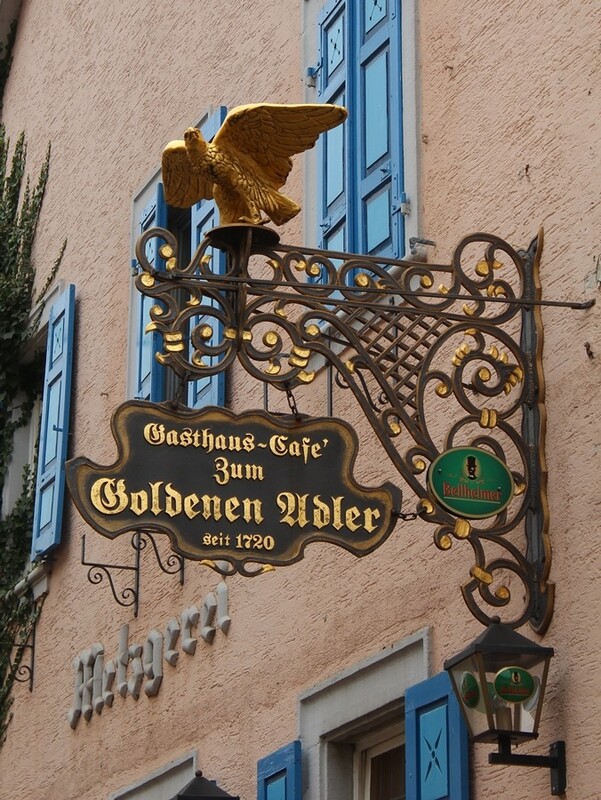 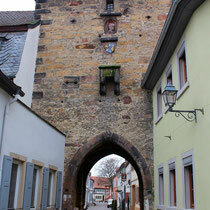 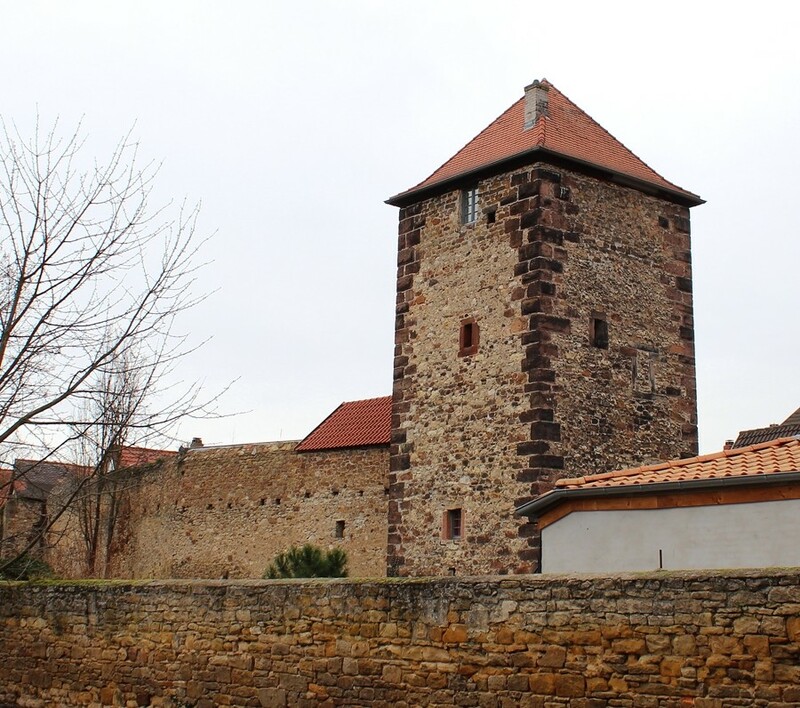 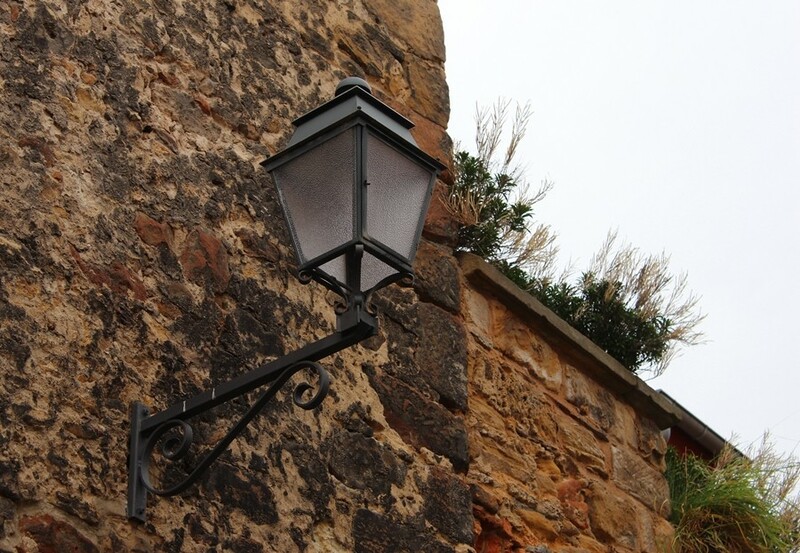 The city of Freinsheim still has its medieval town wall dating back to the 15th century. 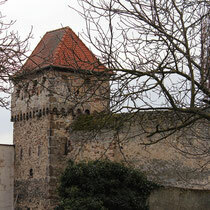 It surrounds the old town and there are many towers and gates are set into it. 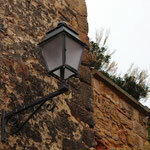 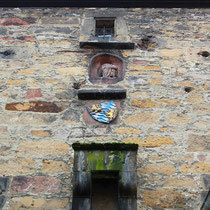 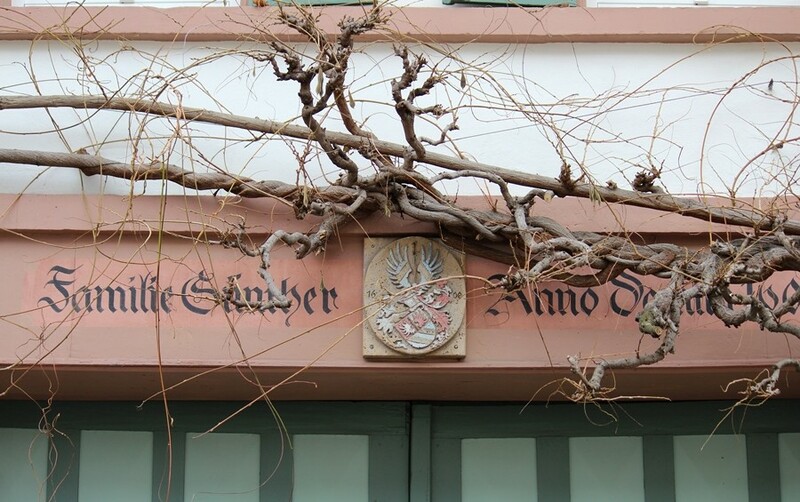 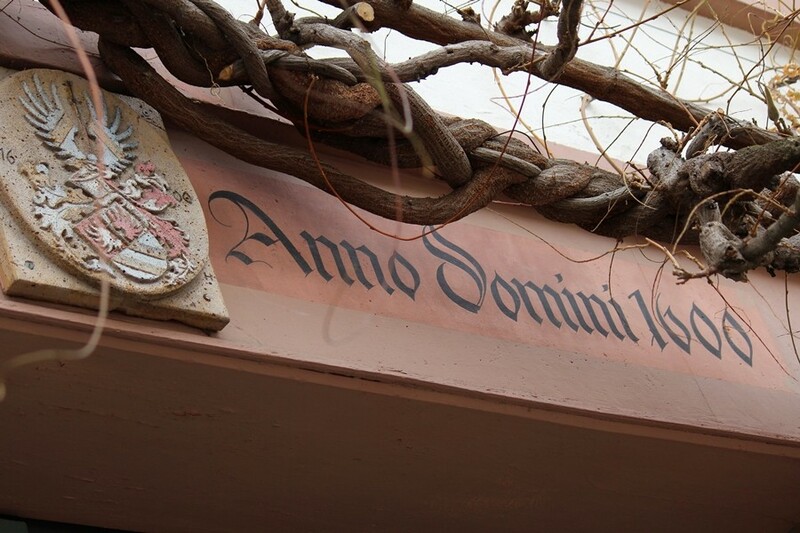 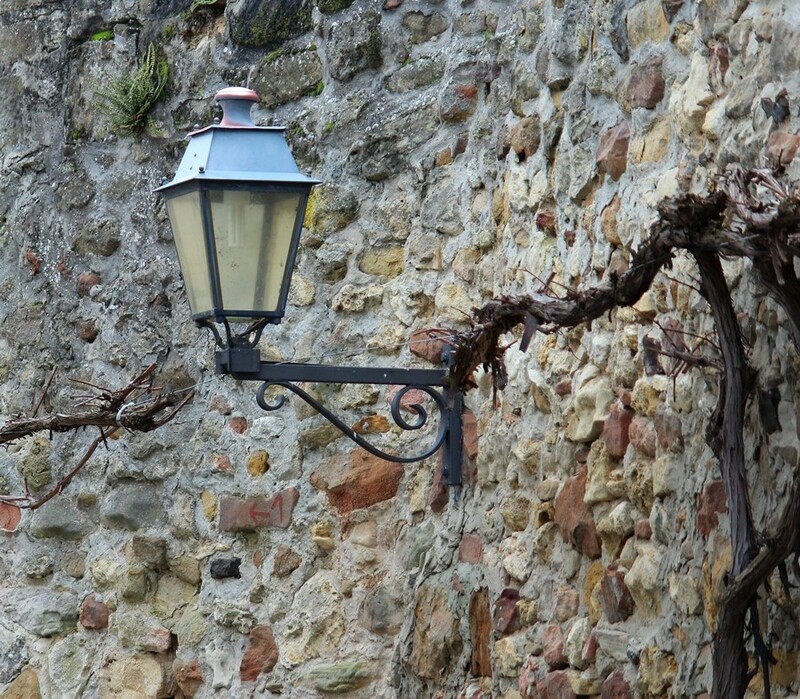 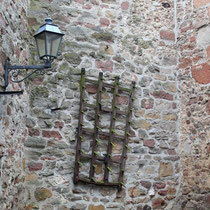 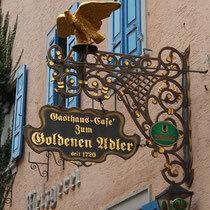 It is one of the best preserved and most beautiful walls in Rhineland-Palatinate. 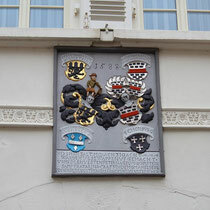 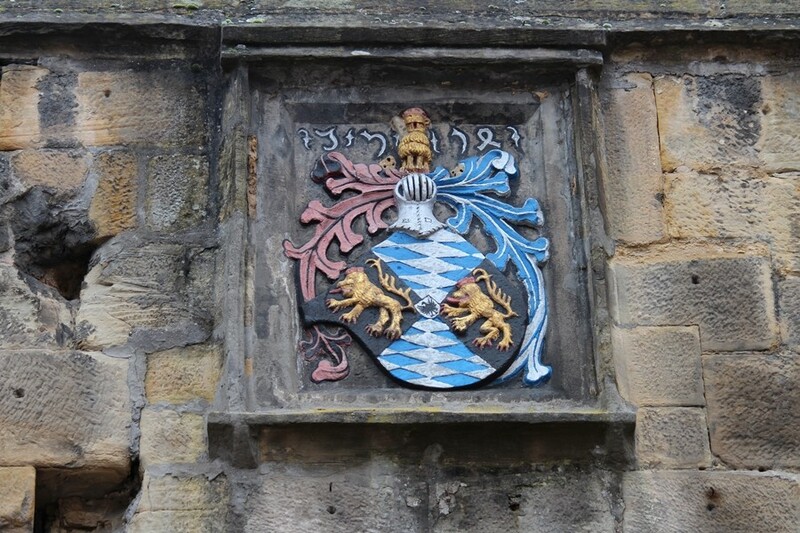 The town was first mentioned in a charter in the year 774. 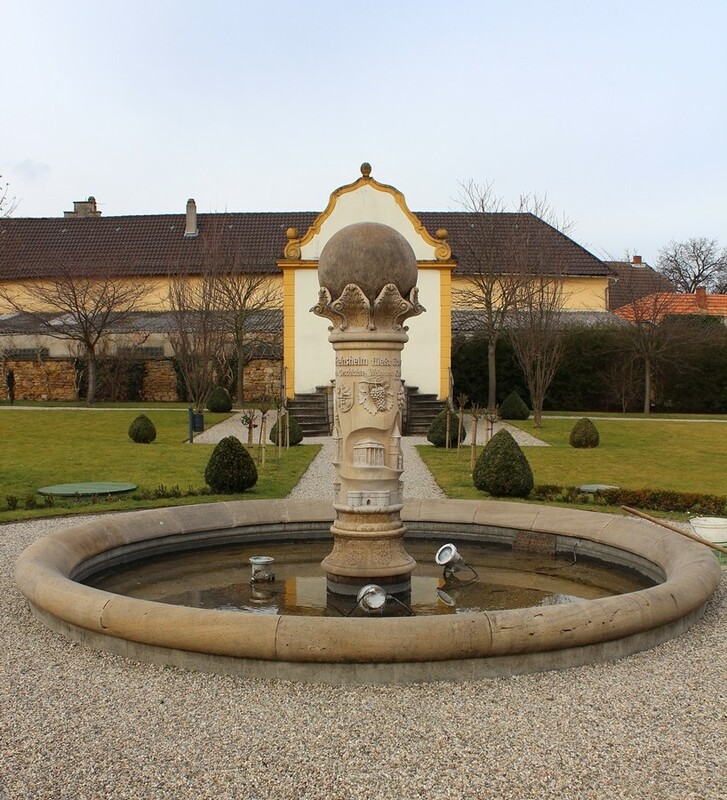 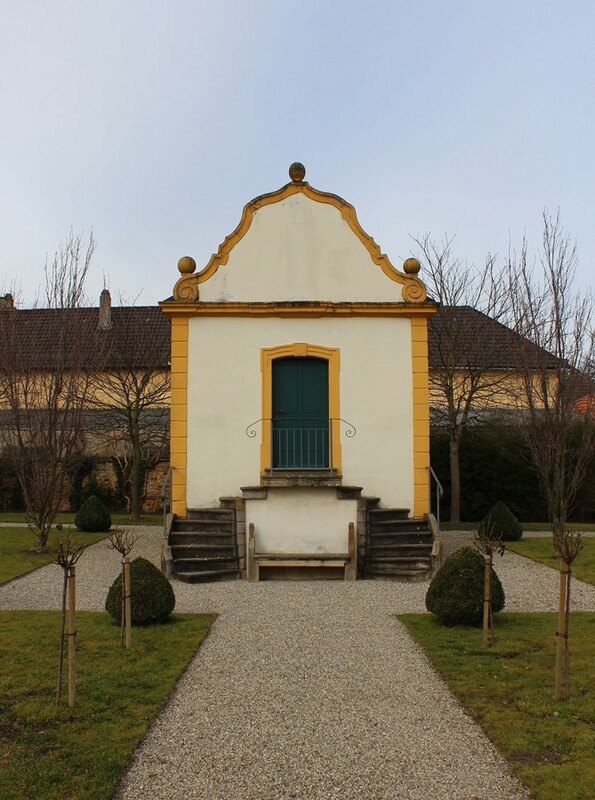 Close to the town wall there is a Baroque garden with a fountain and a garden house. 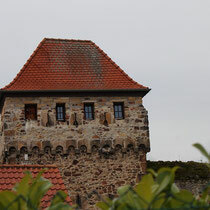 In the summertime a lot of roses and lavender are blooming there. 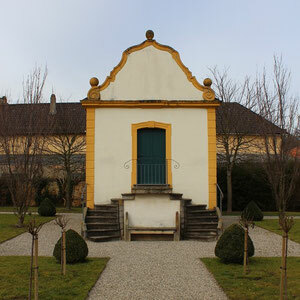 Next to the Baroque garden is the apothecary garden. 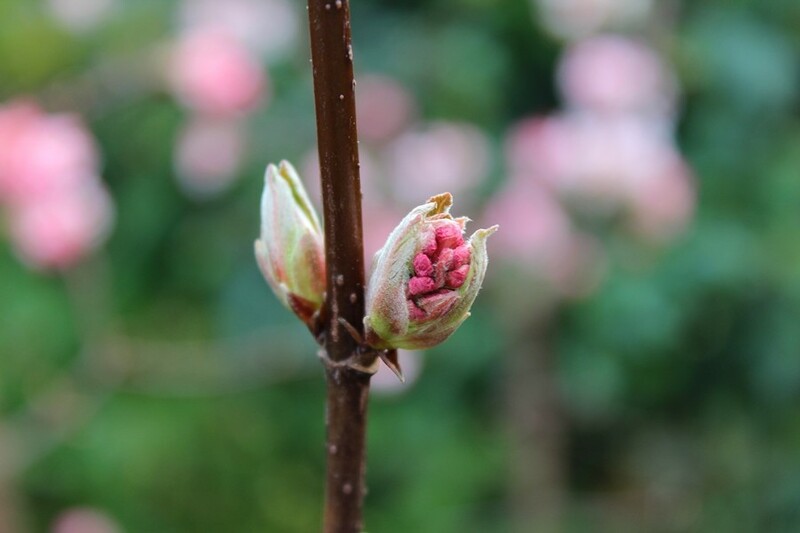 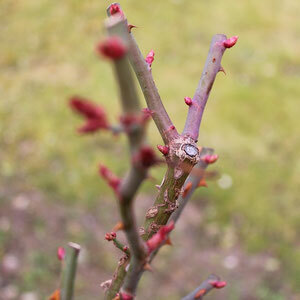 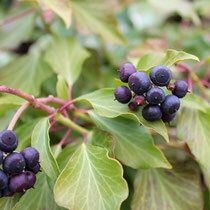 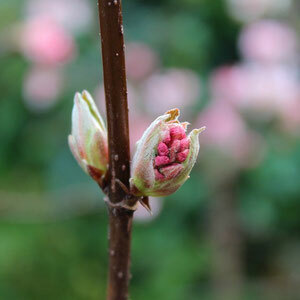 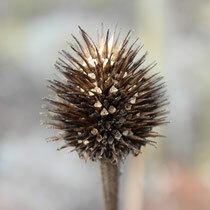 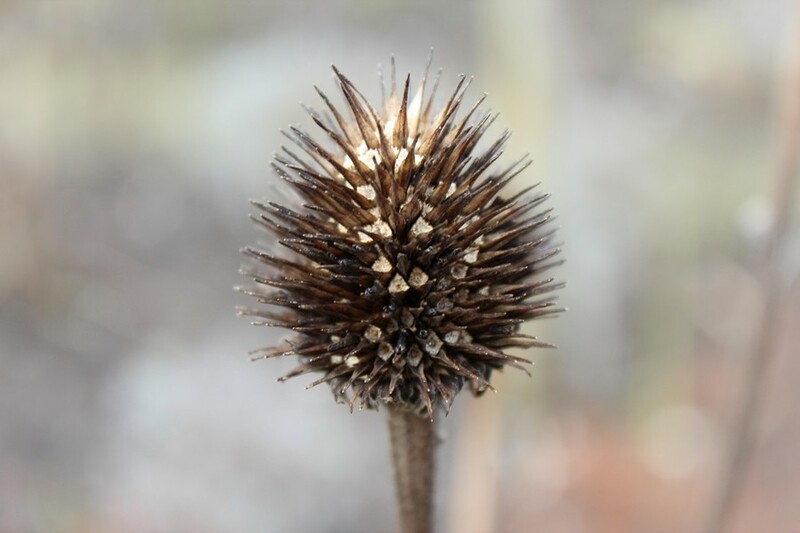 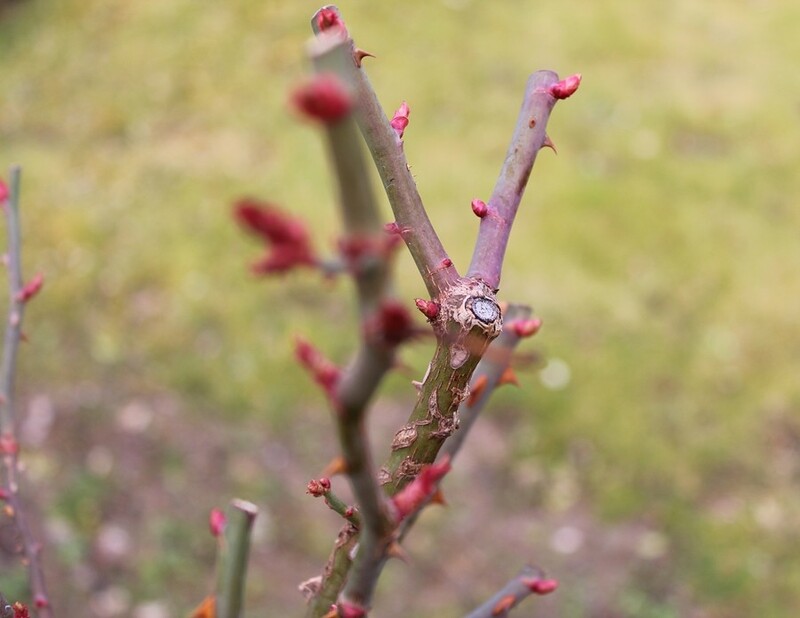 Right now the plants in it are starting to bud and bloom as if it was already Spring. 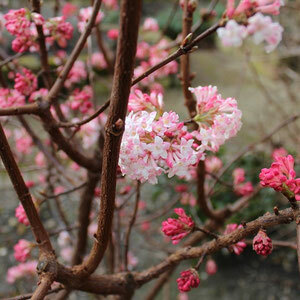 Some bushes are a riot of color thanks to the many small blossoms. 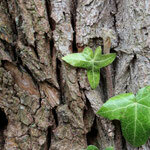 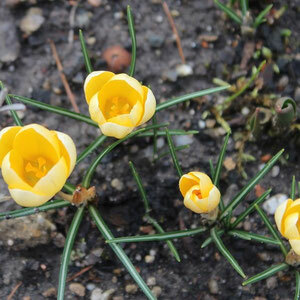 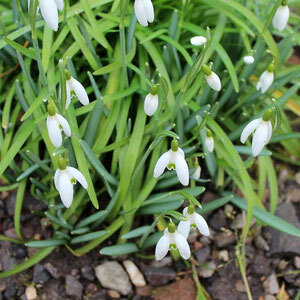 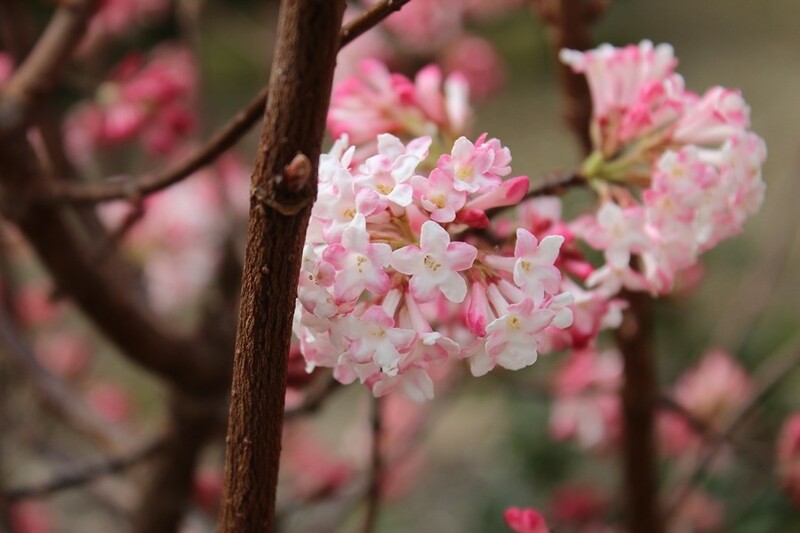 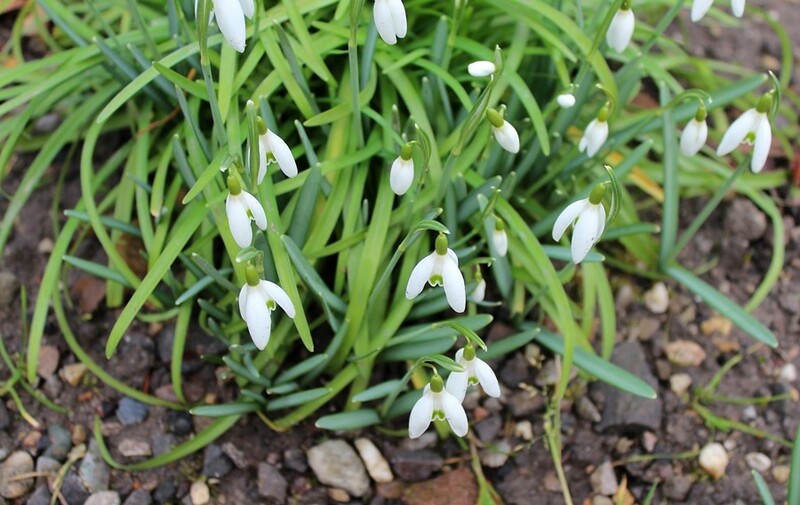 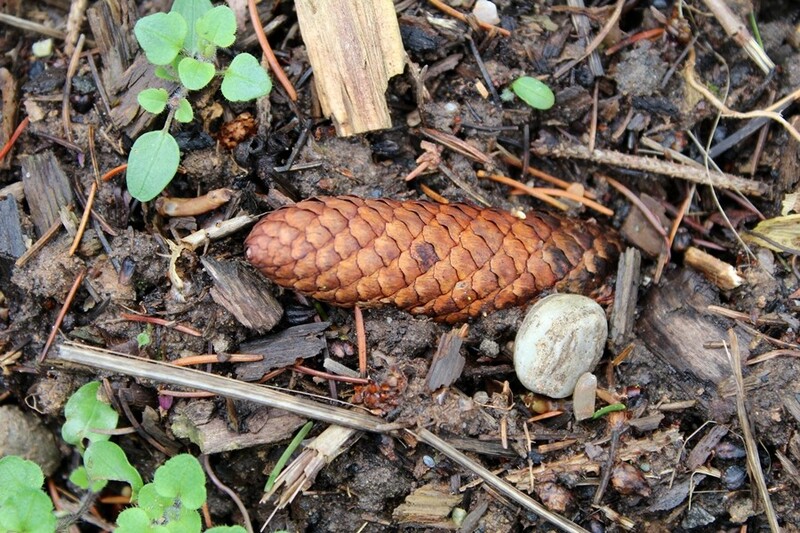 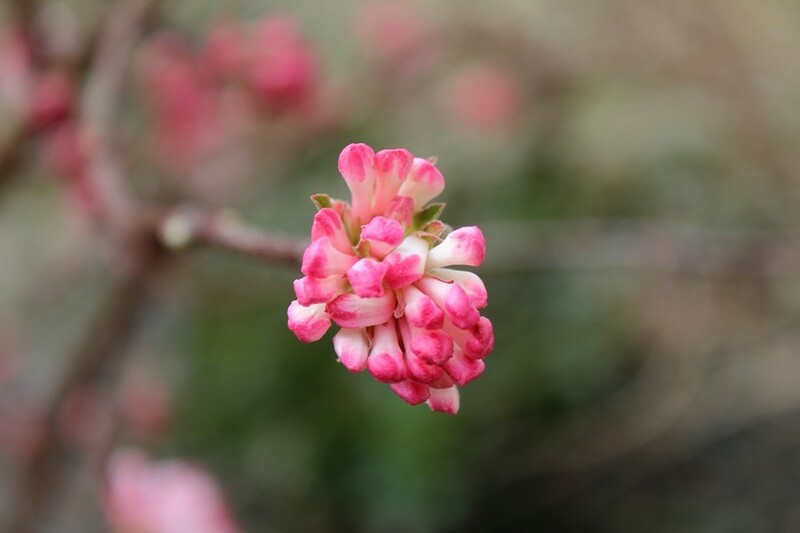 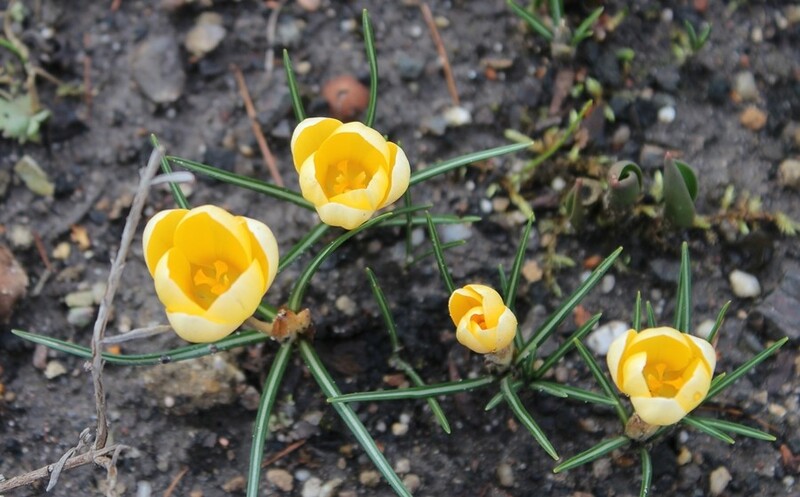 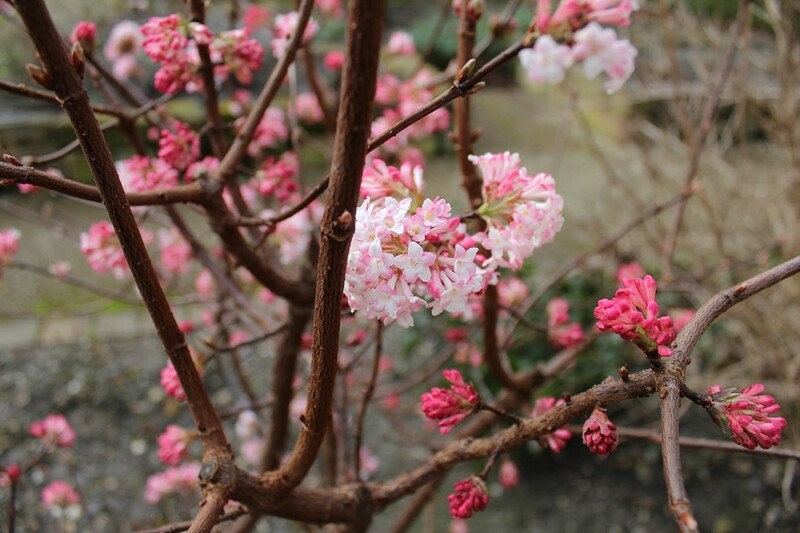 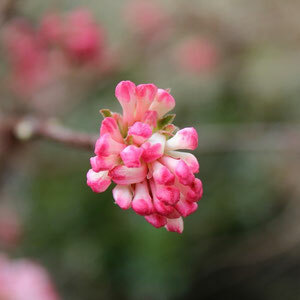 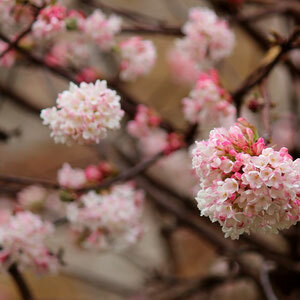 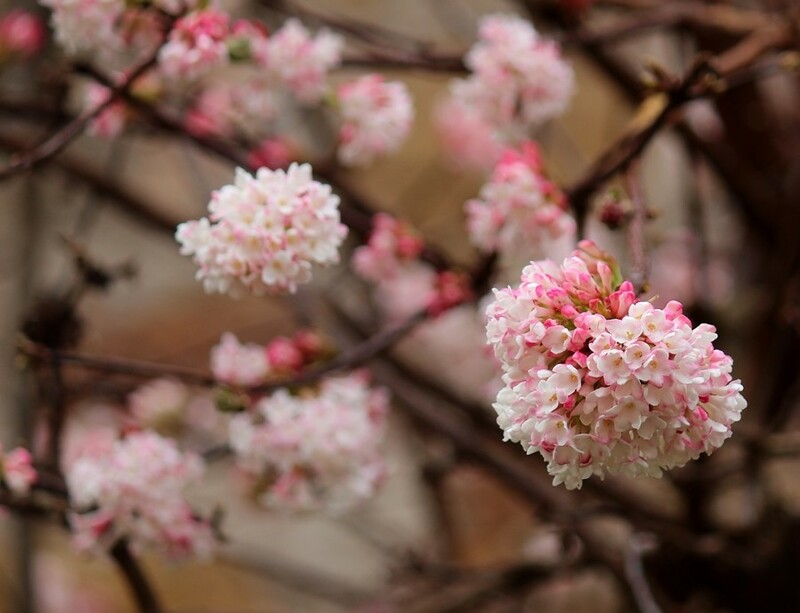 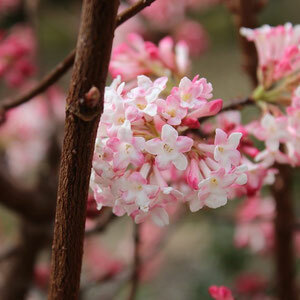 Two more harbingers of Spring could be found already too. 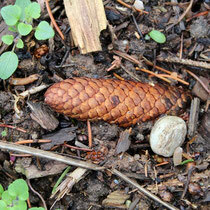 As well as left-overs from the last Fall. 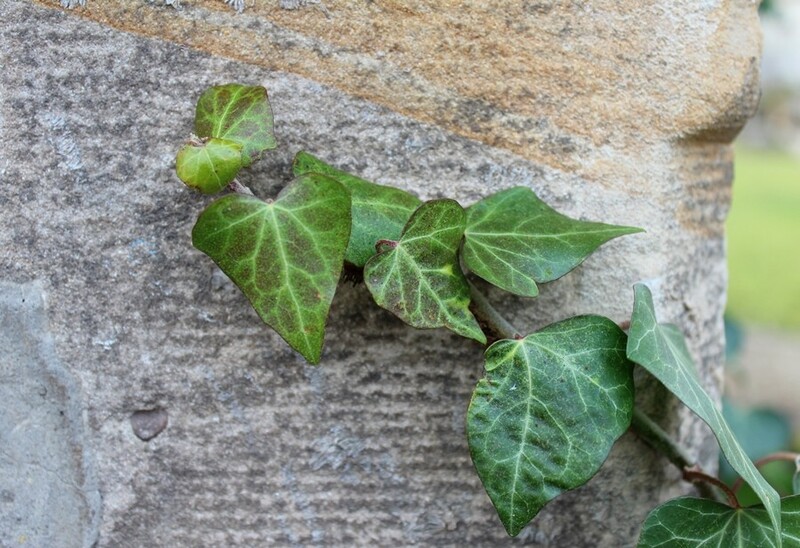 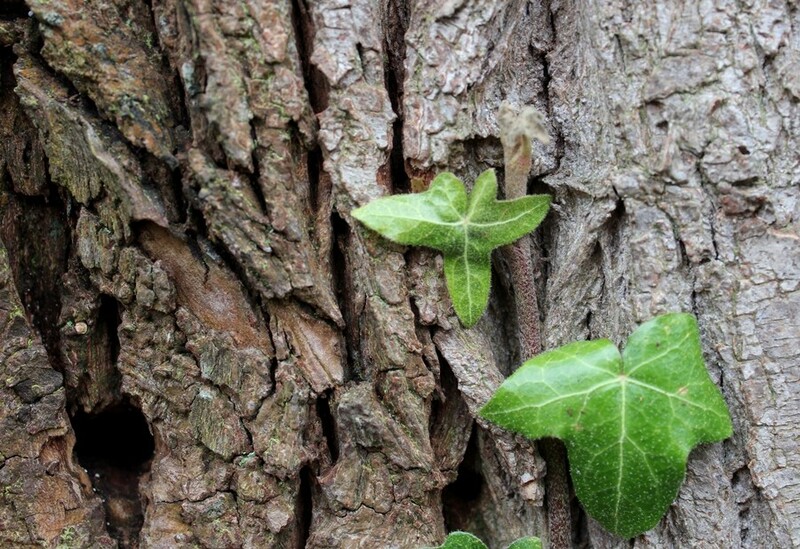 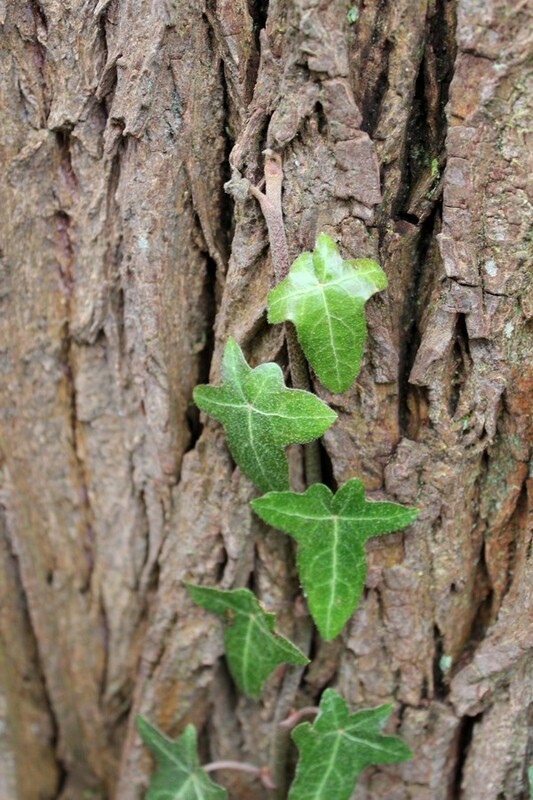 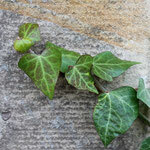 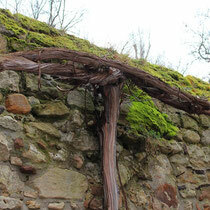 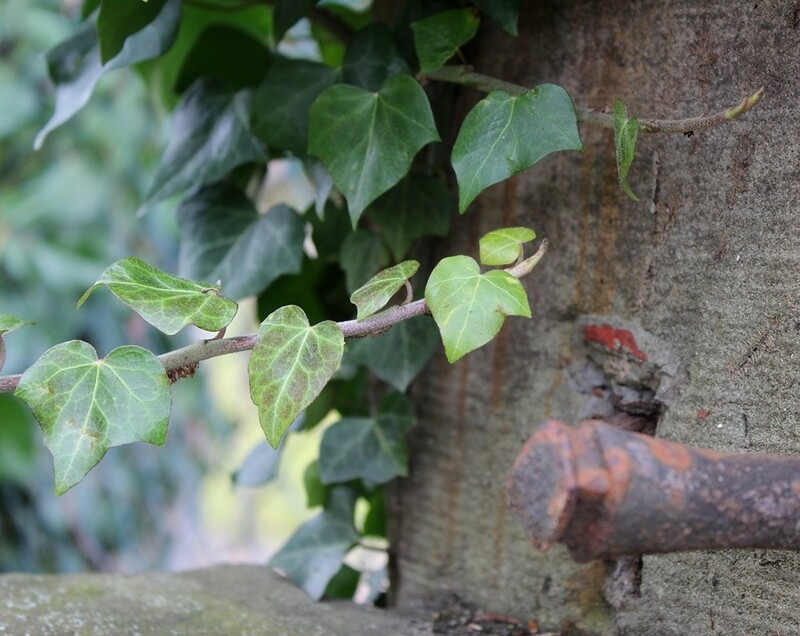 Ivy is growing everywhere around town - its roots loving the old stones of the town wall or the rough bark of the old trees. 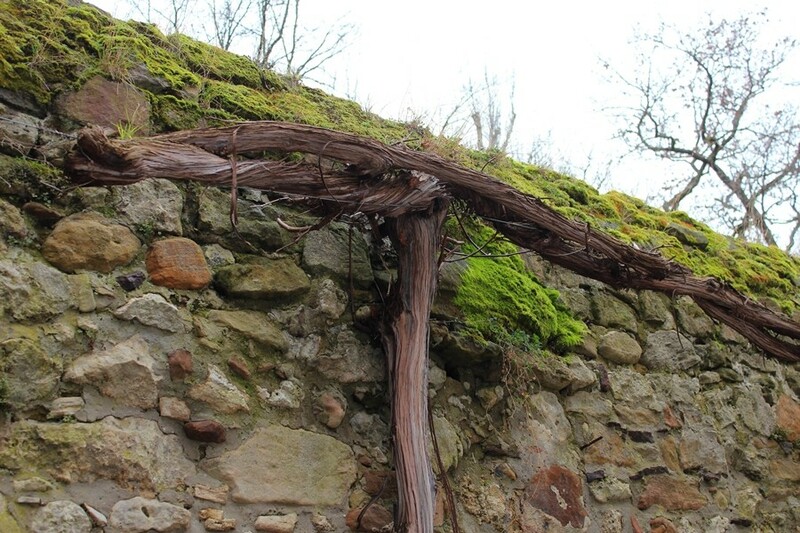 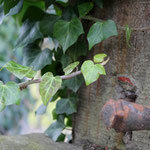 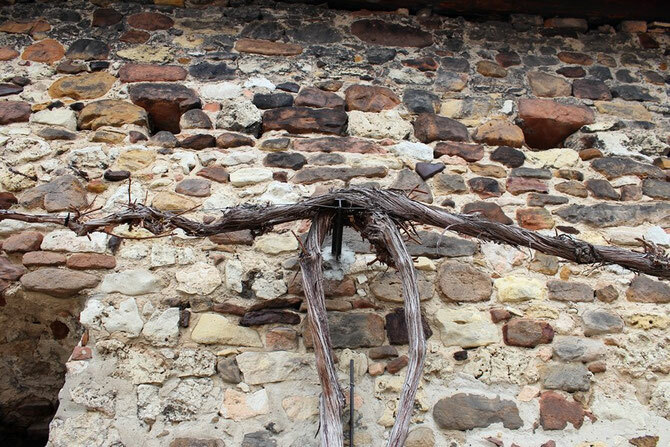 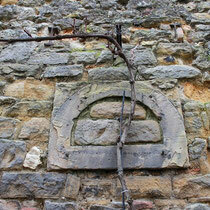 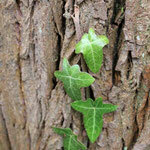 Wandering along the town wall I came across this vine branch that totally looked like the Greek letter Pi. 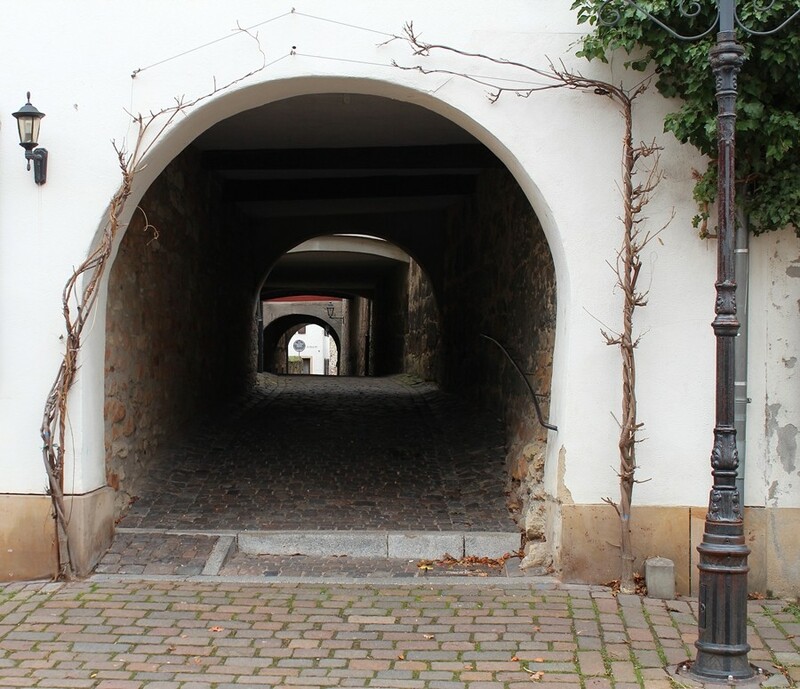 On my way towards the old town I got spotted by a guard. 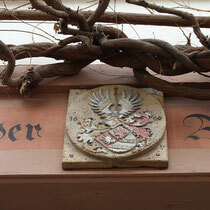 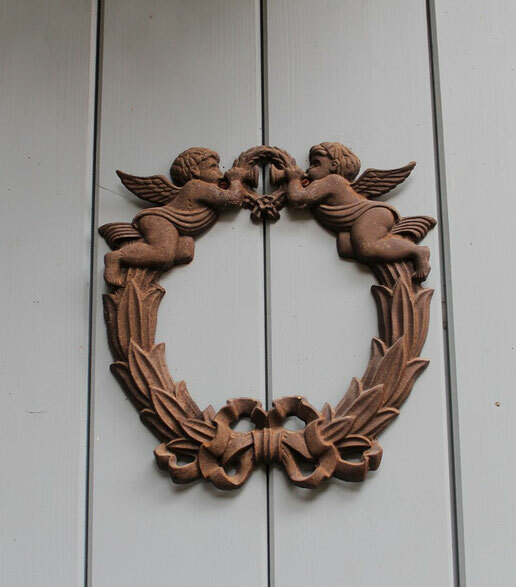 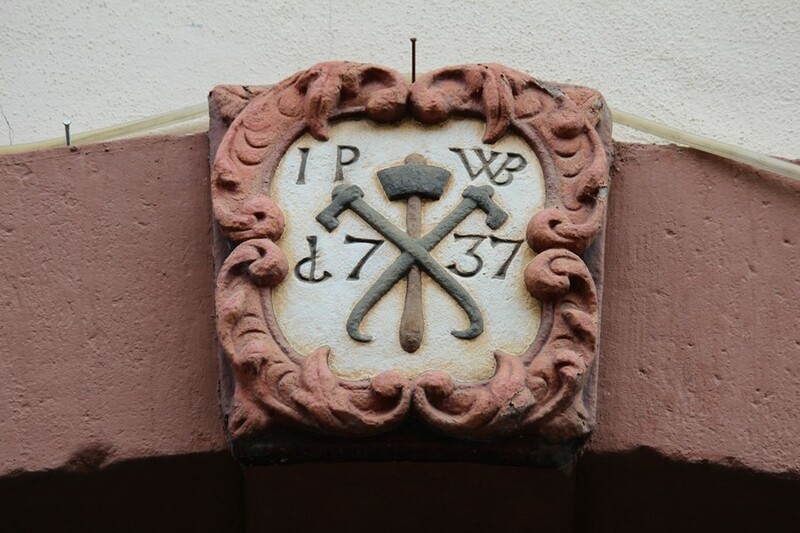 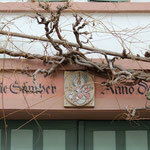 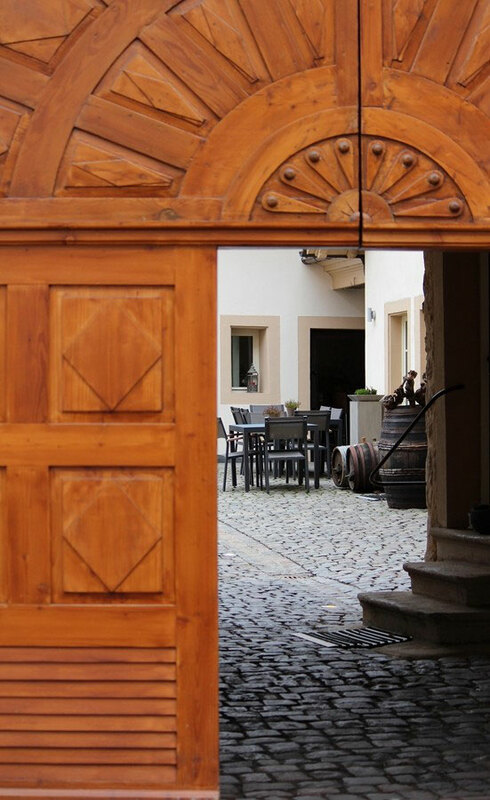 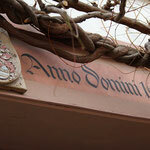 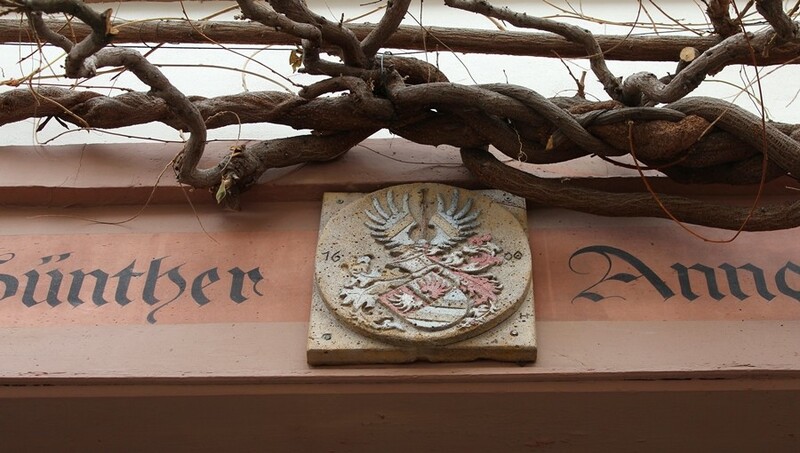 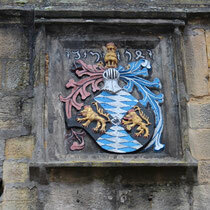 Above a lot of the door frames in Freinsheim there are stone carvings. 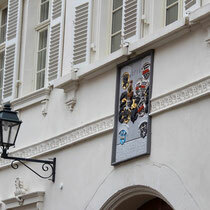 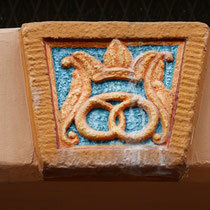 Those are part adornment but mostly a sign of the trade inside the building, e.g. 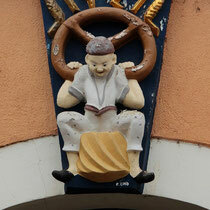 if it was a bakery, a butcher shop or the like. 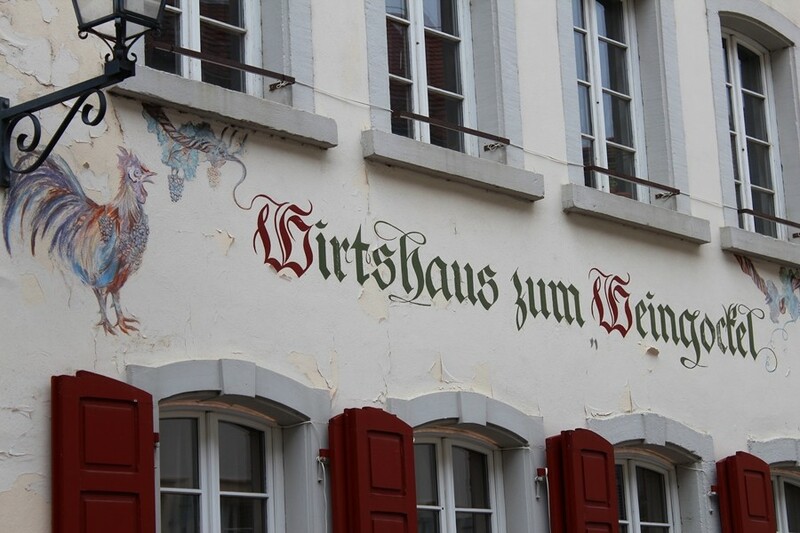 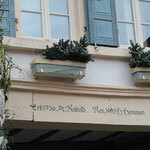 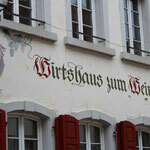 Beautiful old writing can be found on a lot of the old buildings. 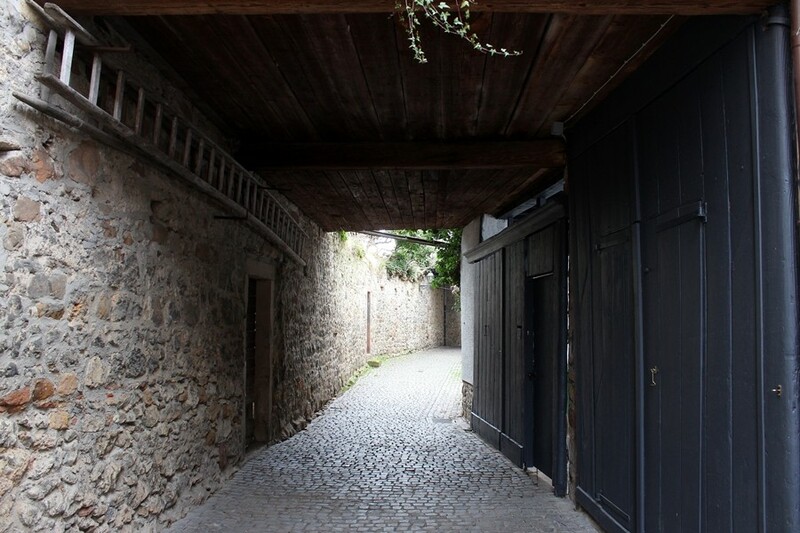 Most of the older houses have inner courtyards and often there is an open gate where one can catch a glimpse of what's inside. Whereever you look there are nice details. 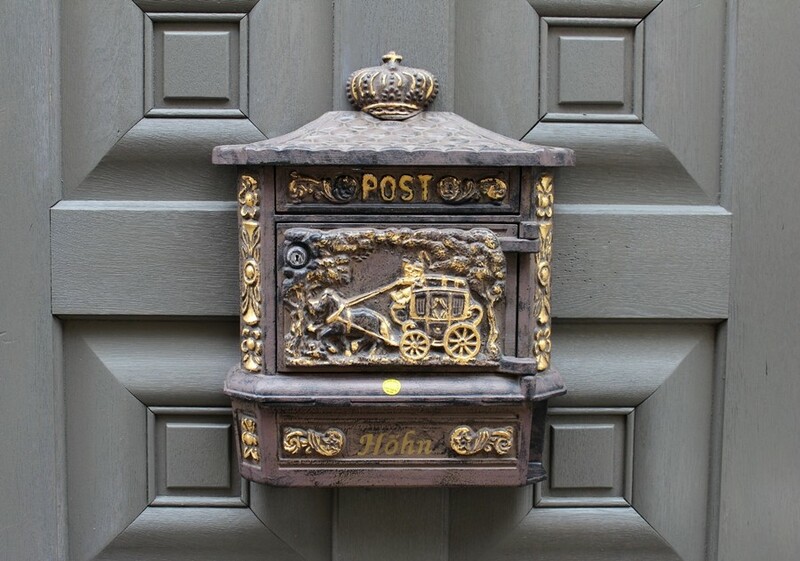 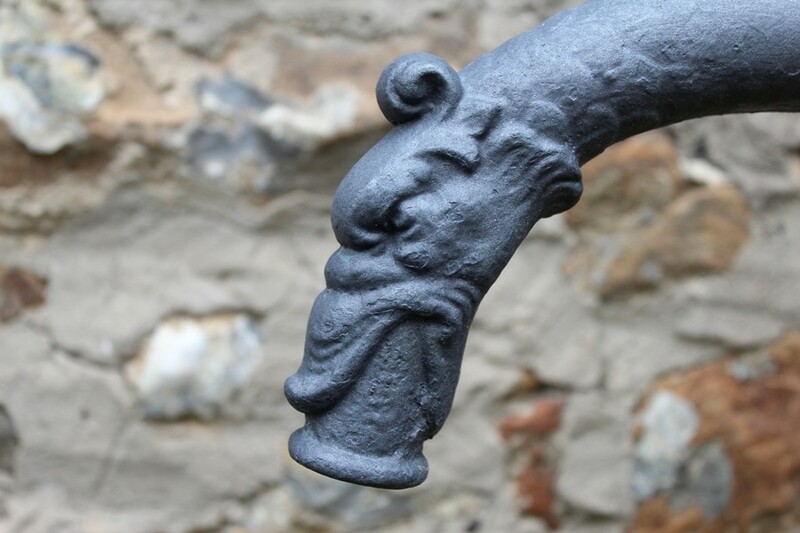 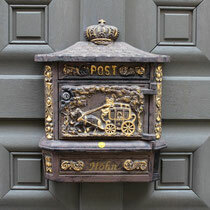 Be it a wrought-iron adornments in an entryway or on a pub sign or a nicely decorated mailbox. 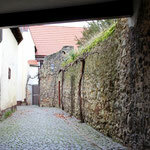 All over town are tight passages or little tunnel portals that connect the little back roads. 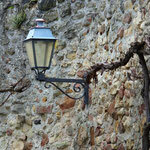 Along the townwall there are dozens of lanterns. 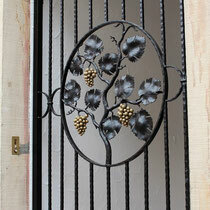 Most of them with wrought iron mounts. 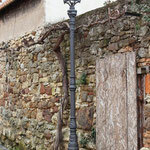 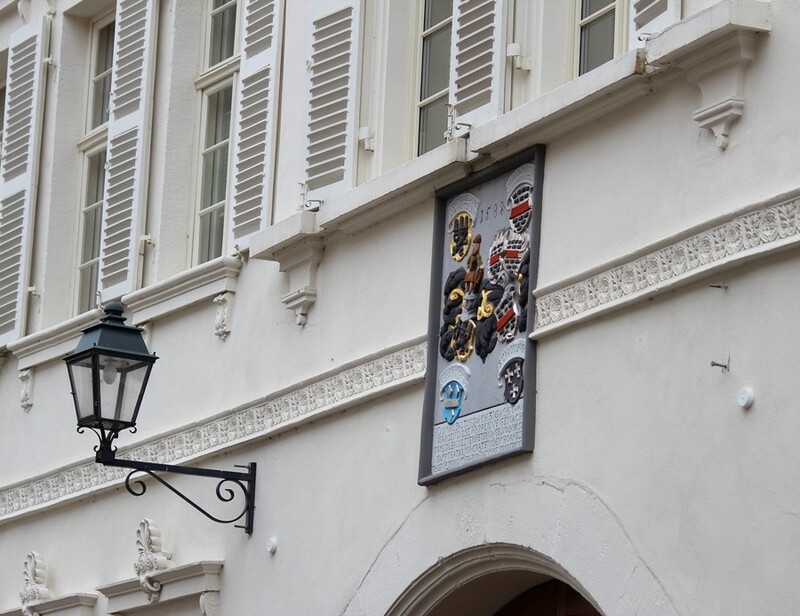 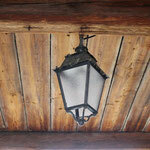 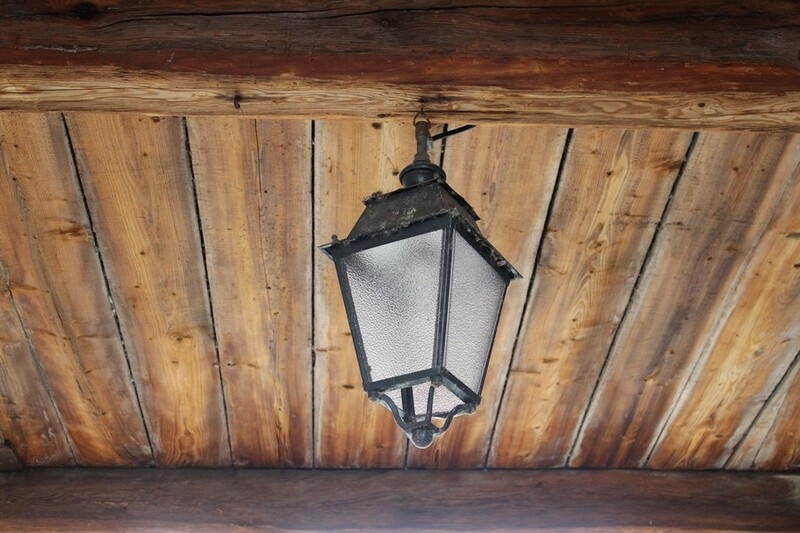 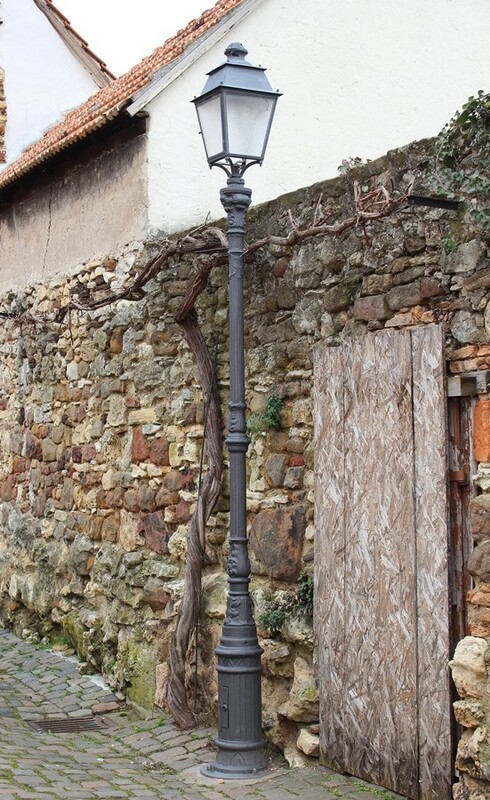 Some of them are hanging on wooden ceilings or are street-lights with wrought iron posts. 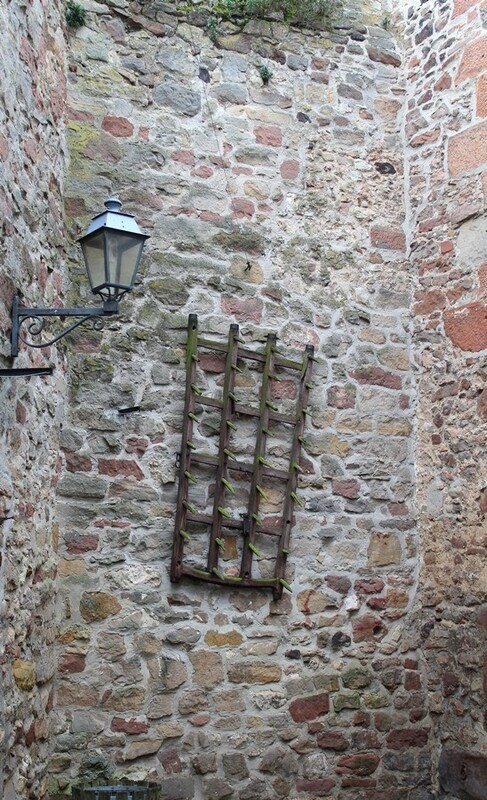 The town wall itself stays interesting during the walk due to the many details that can be found when looking at it, for example tools that were hung up on it. 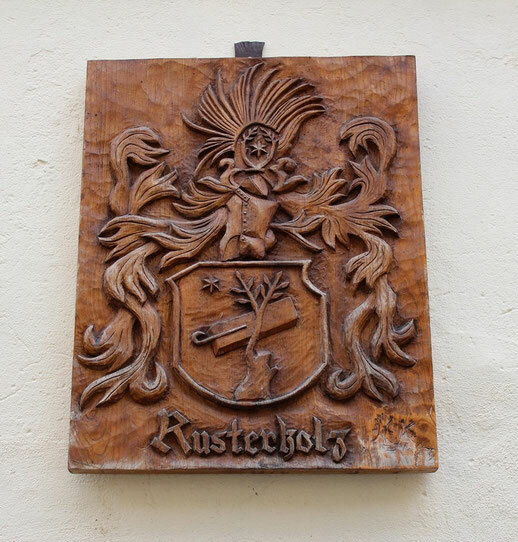 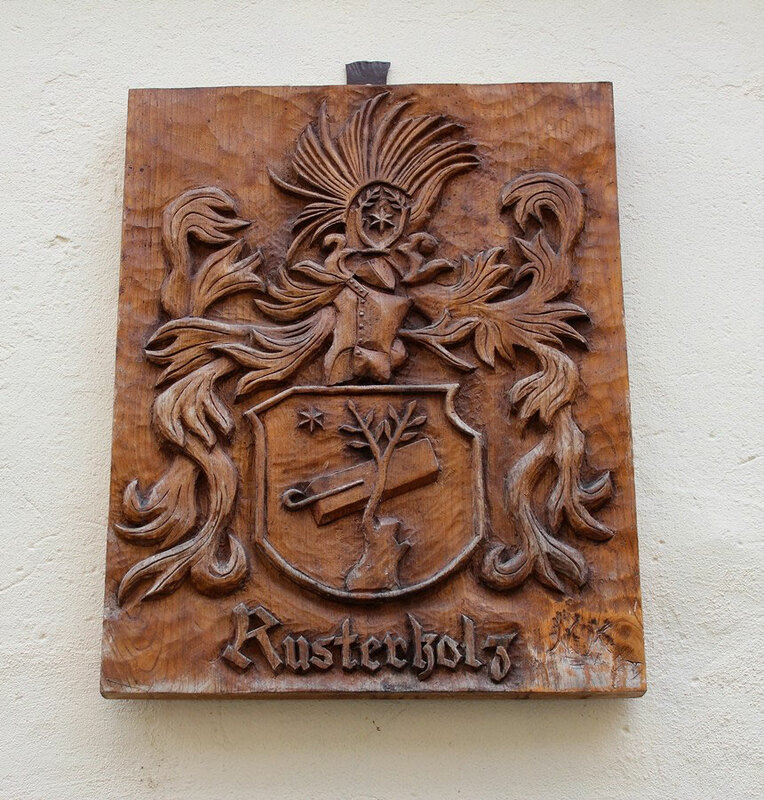 This beautifully carved wooden panel was also hanging on the wall. 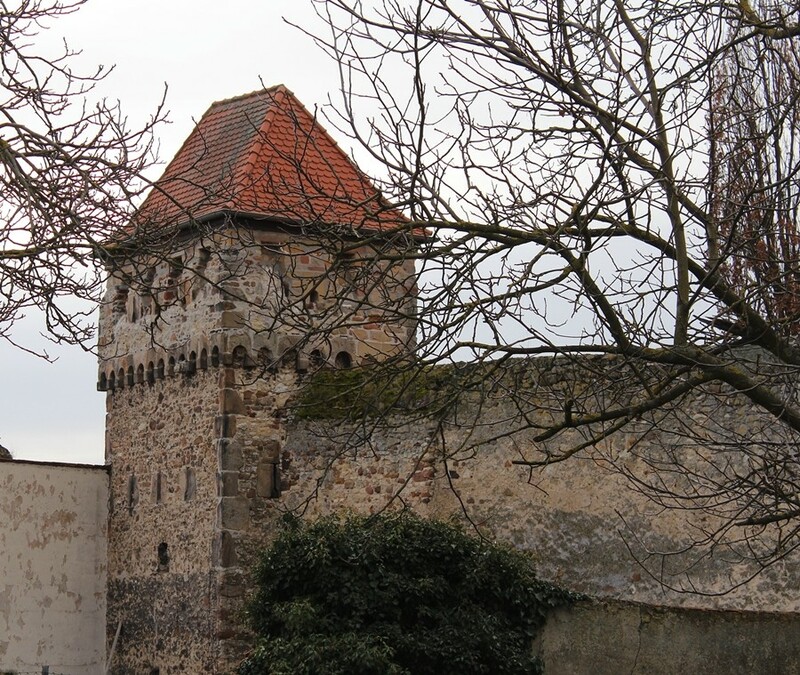 Some of the towers and gates that are part of the town wall. 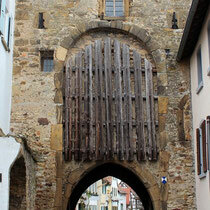 The largest gate is the Iron Gate. 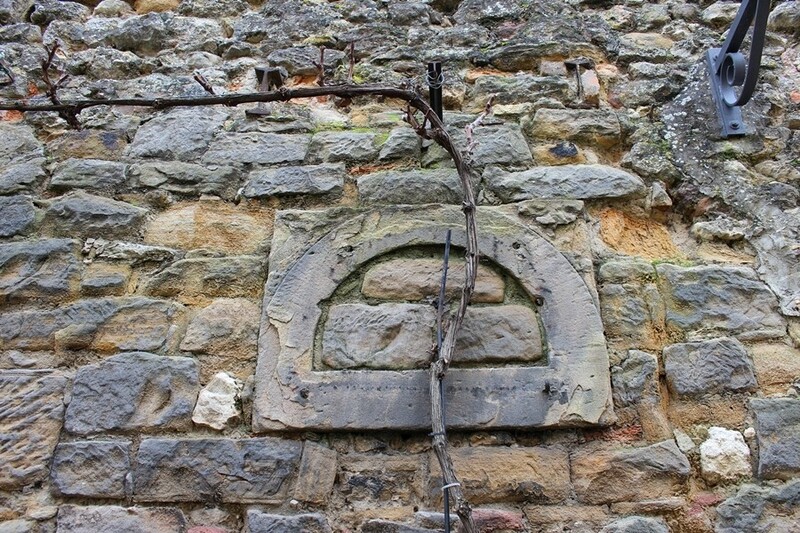 It was the last piece that got added to the town wall. 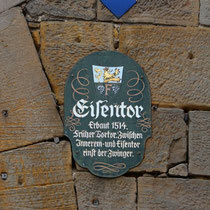 Its construction was finished in 1514. 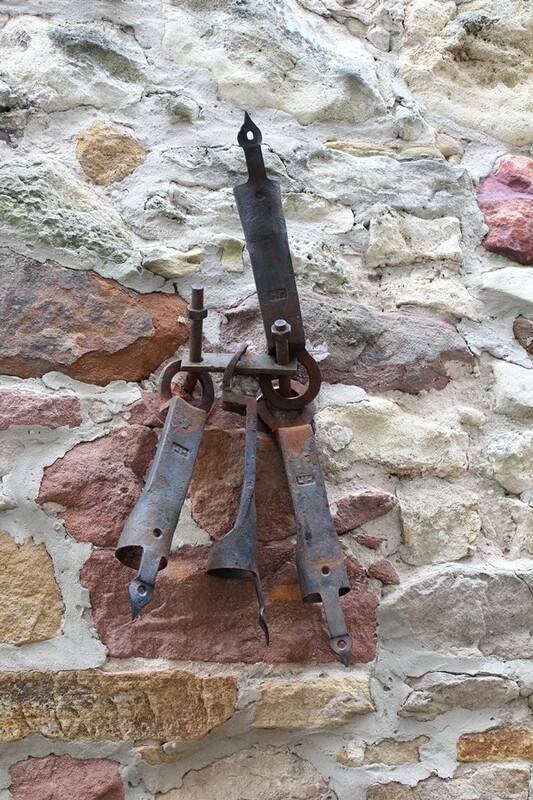 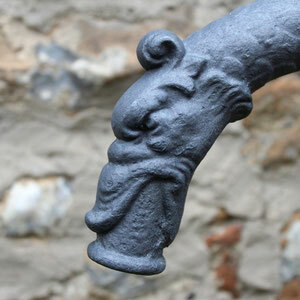 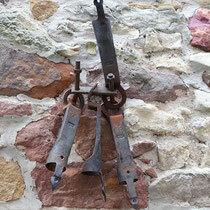 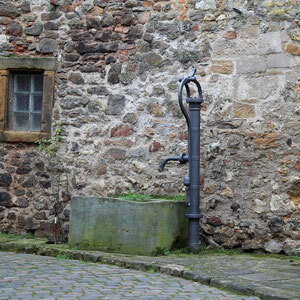 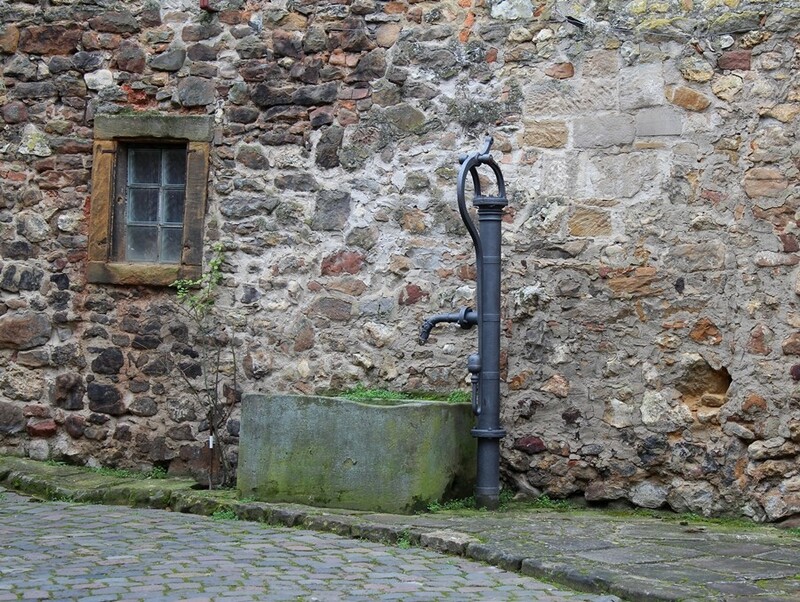 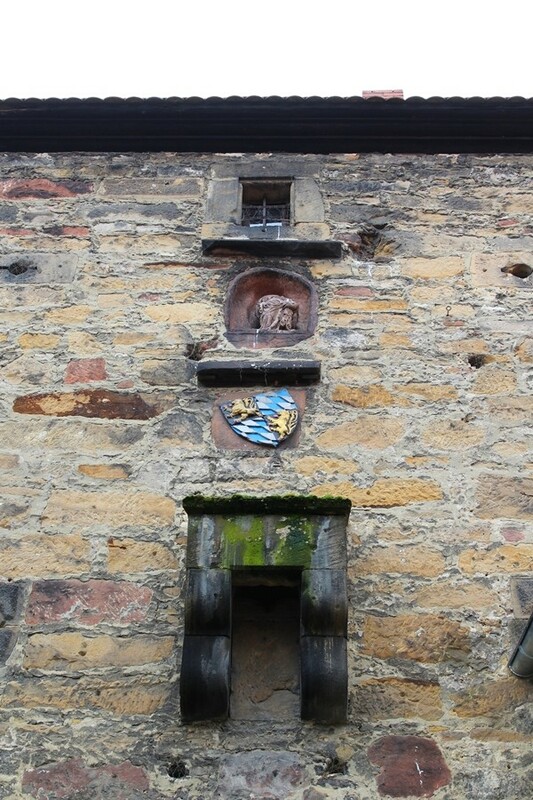 Sitting next to the townwall is a hand-operated pump with a nice spigot. 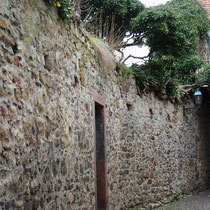 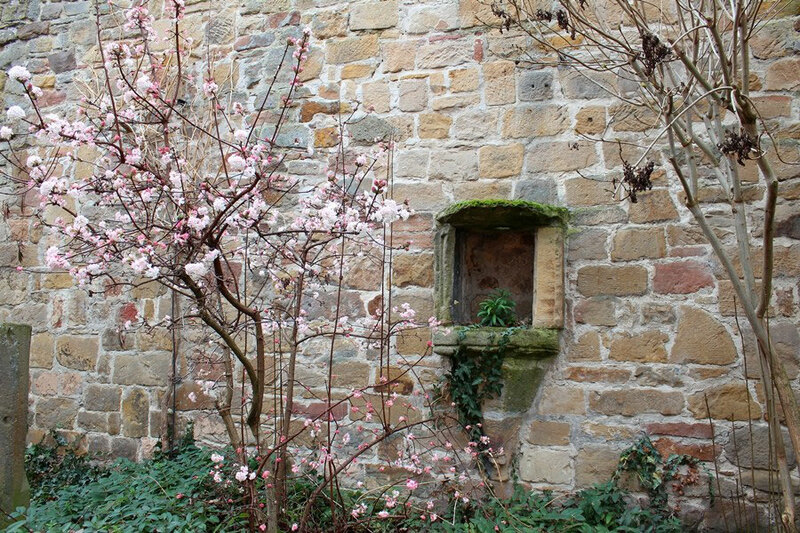 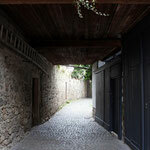 There was a nook in the town wall with a blooming bush in front of it. The contrast between the sandstone and the blossoms was quite nice to look at. 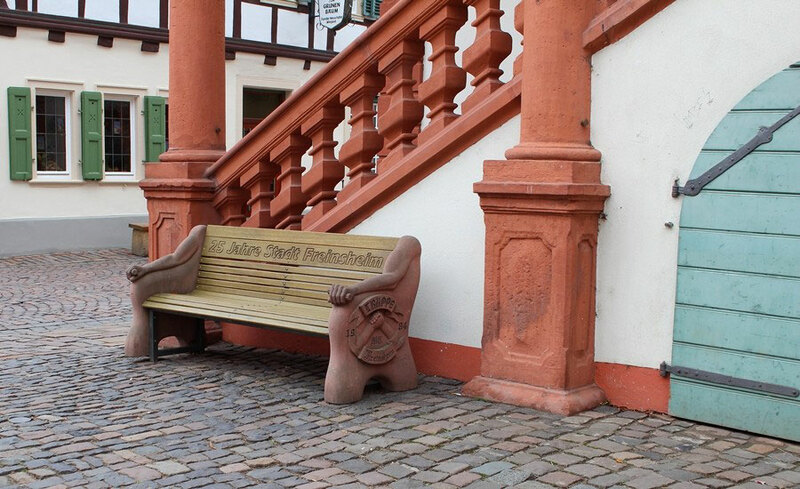 This bench invites visitors to sit down for a moment of contemplation. 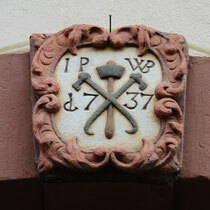 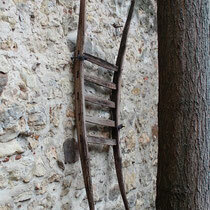 On my way back I spotted this above a wooden gate. 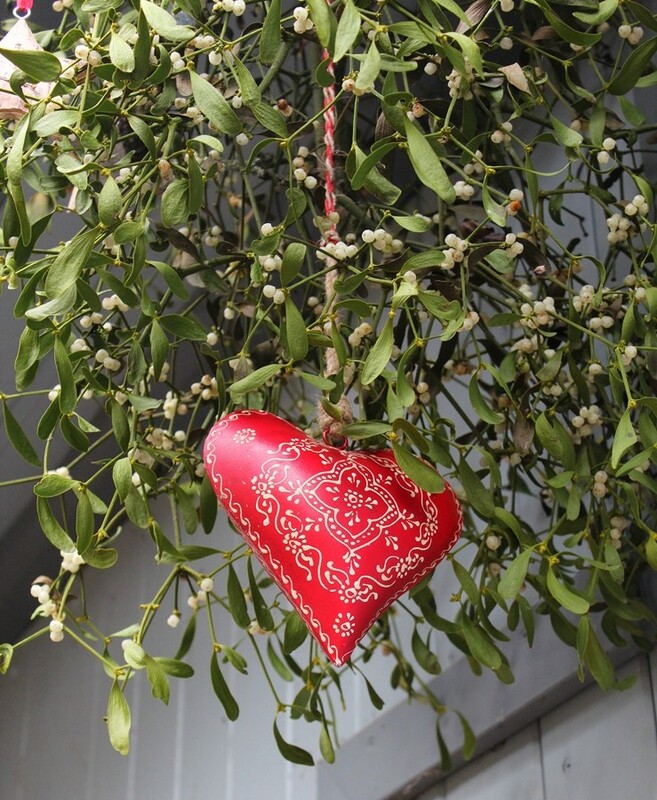 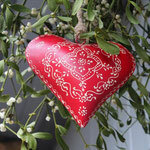 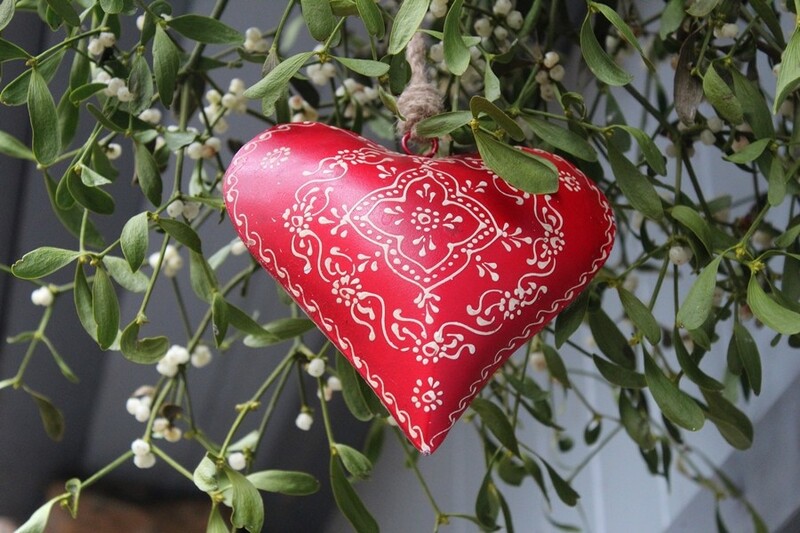 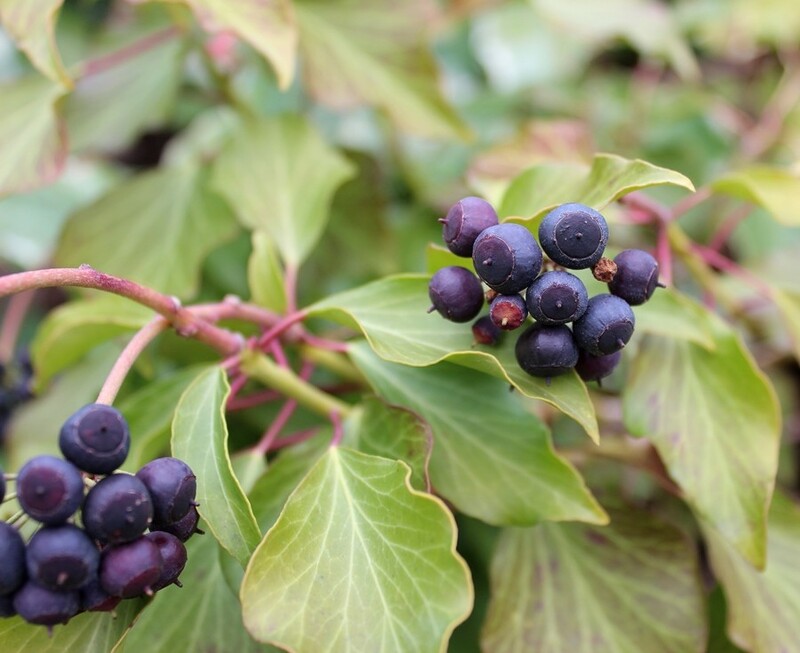 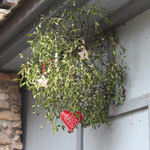 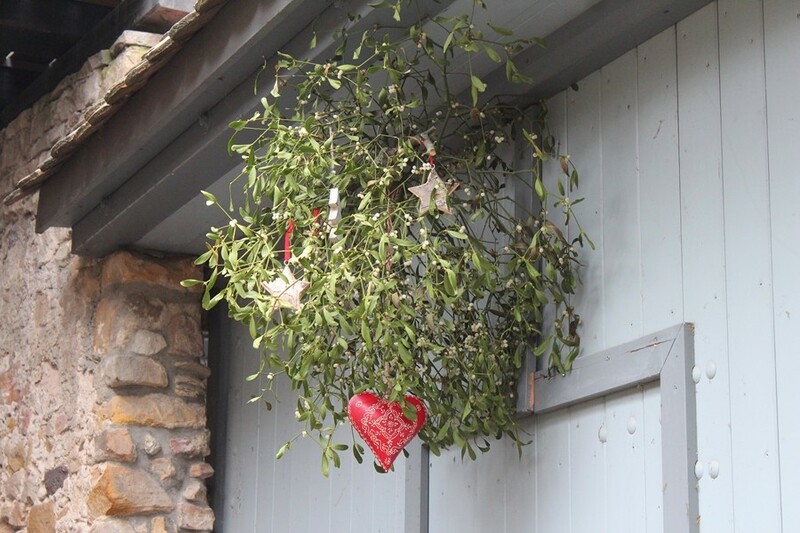 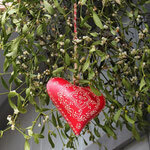 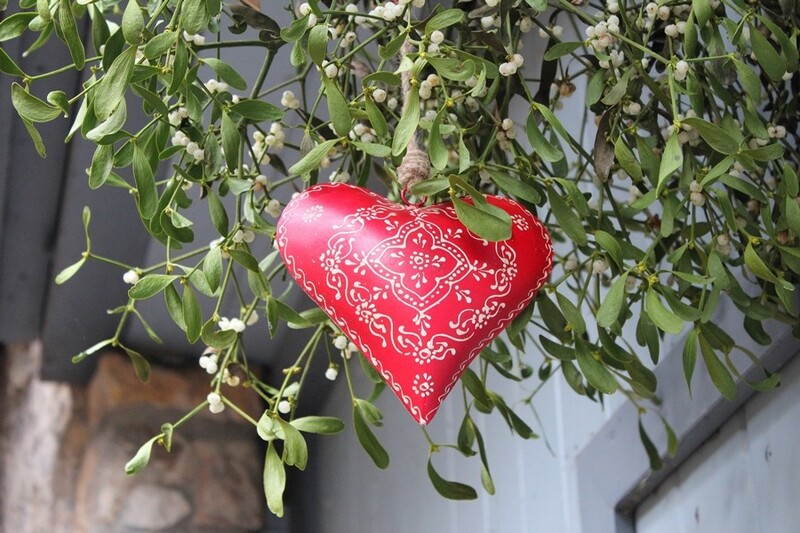 I thought the mix of mistletoe - under which people are supposed to exchange kisses - and the heart - the symbol of love - were a perfect picture for Valentine's Day. 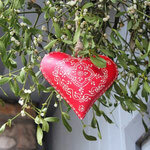 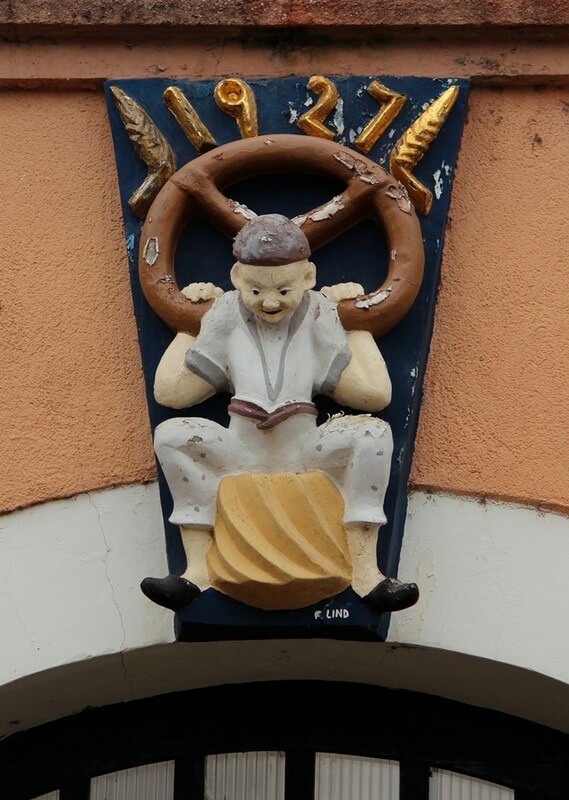 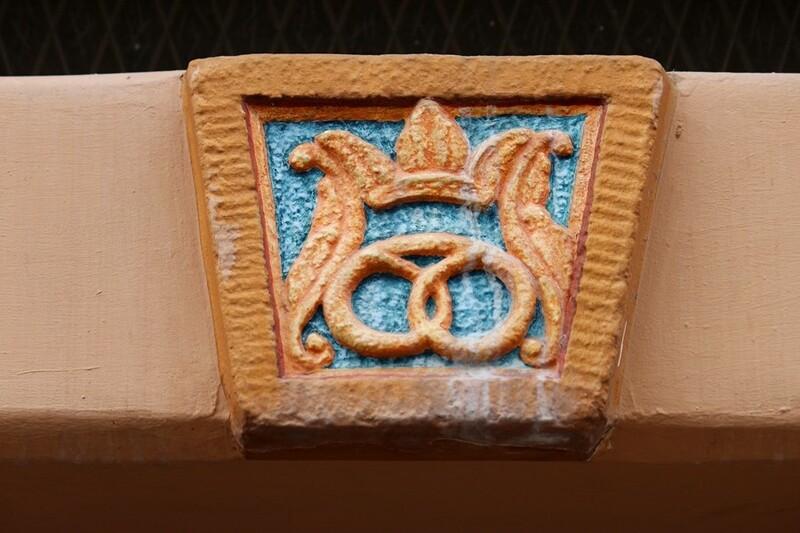 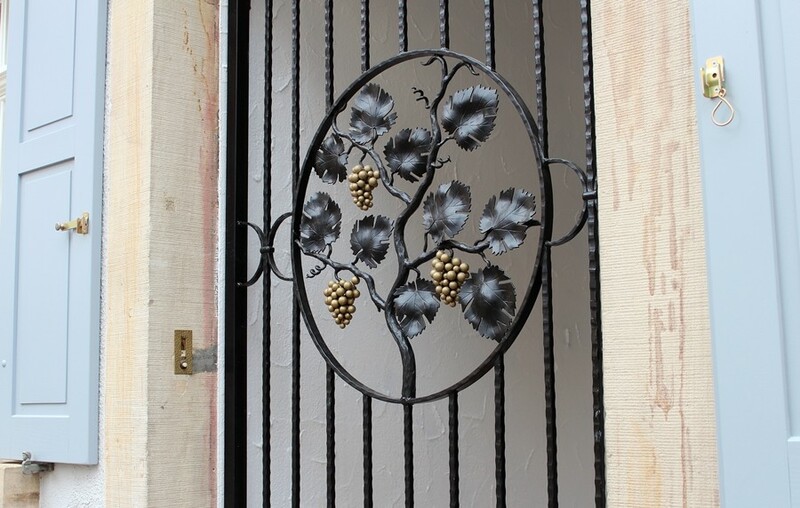 The same gate had this adornment on it. 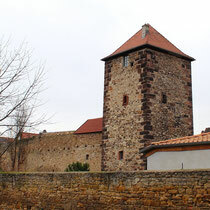 Conclusion: Freinsheim is a beautiful old town that I will definitely visit again in summertime when the sun is shining.